Lots of homeowners get frustrated by unsolicited phone calls from salespeople trying to sell them something that they don't want. 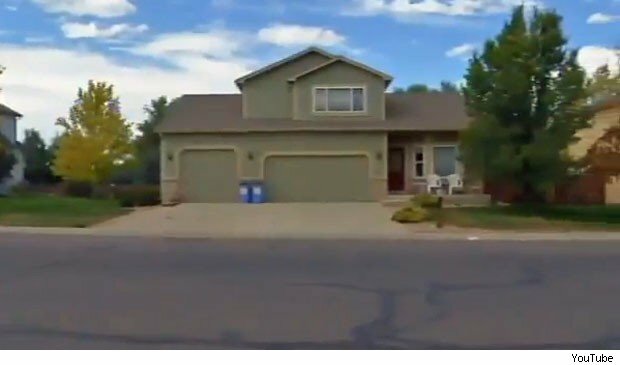 But it appears it was a telemarketer's turn to let off steam last week, after he allegedly threatened to blow up the house of a Mead, Colo., homeowner who turned down the offer of some money he'd supposedly won. "The homeowner was not interested and hung up the phone," Sgt. Tim Schwartz of the Weld County Sheriff's Office told KMGH-TV in Denver. Undeterred, the telemarketer called right back, Schwartz said, "and got pretty rude, telling the homeowner, 'I've placed a bomb in your house.' "
The threat prompted the homeowner to call 911, and led to an evacuation of nearby homes while the victim's home was searched. Authorities found nothing. The homeowner, who declined to be identified, told KMGH, "I think the call came from overseas. He had a very thick accent." A neighbor, Elaine Stanchfield, who had to evacuate her home, said that she couldn't believe what had happened. "It was like, 'Oh my God! A bomb threat.' "
Stanchfield said that she thinks telemarketers "are a big pain," because they don't stop calling even after you ask them to. "But to go to those lengths to actually threaten someone is just ridiculous," she said. Nationwide, nearly 300,000 workers are employed as telemarketers, also known as telephone sales representatives, according to the Bureau of Labor Statistics. Such jobs don't pay particularly well -- about $11 an hour on average, or about $22,500 annually. The majority of telemarketers -- 89 percent -- are either high school dropouts or hold only a high school diploma. BLS data suggest that few telemarketers would likely define their jobs as secure, well paid or offering good working conditions. Further, the job can be stressful, involving lots of "cold calling" and rejection from customers who aren't interested in the products or services being sold. Though this incident is alarming, such threats from telemarketers are exceedingly rare, Sgt. Schwartz told KMGH, adding that authorities may never discover the telemarketer's identity. "It's completely out of the ordinary," Schwartz said. "I don't know how to explain it. They're just pretty pushy I guess." Should the telemarketer's identity become known, the actions of law enforcement will depend on where the call originated. If the call was made in the U.S., an arrest warrant will be issued, Schwartz said. But if it's determined that the call came from outside the country, the FBI will be alerted to the threat.